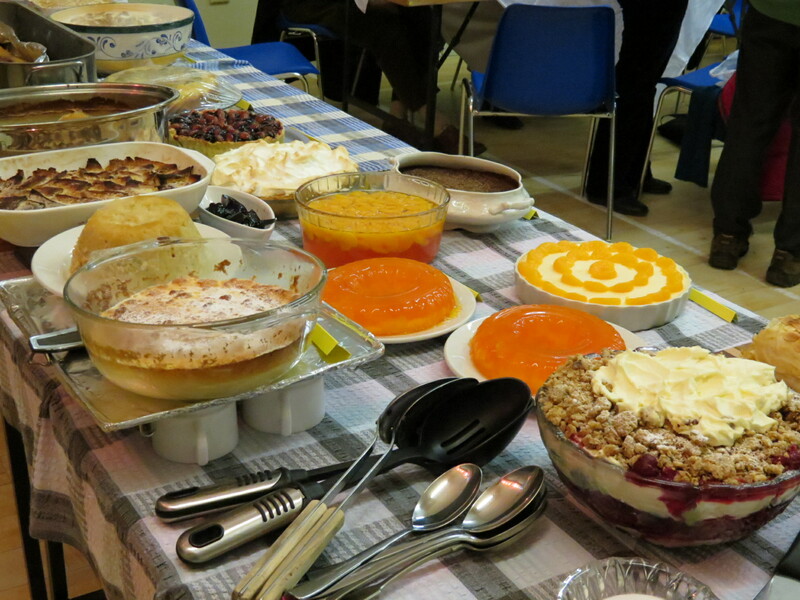 Syrup Sponge, Jam Roly Poly, Rice Pudding, Lemon Meringue Pie, Pear and Ginger Trifle, Bread and Butter Pudding…..……………. Yes! 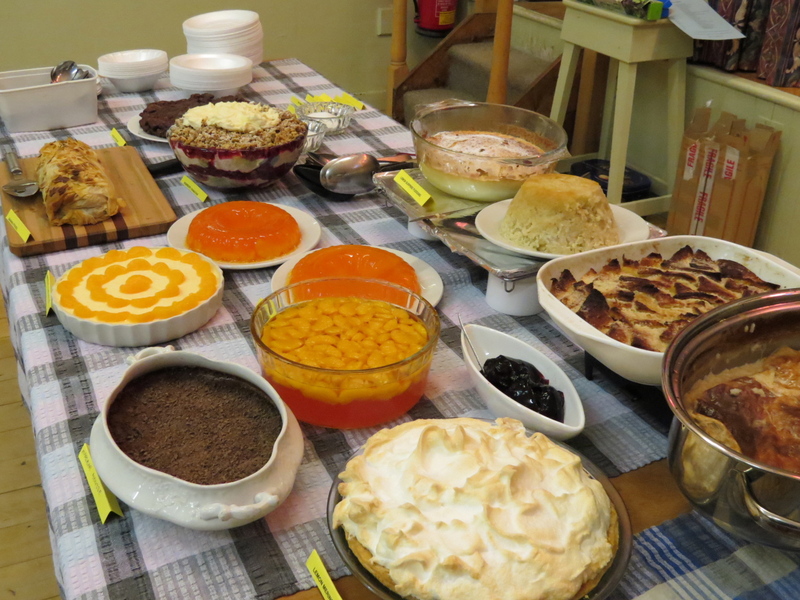 On Saturday, it was Pudding Night again! 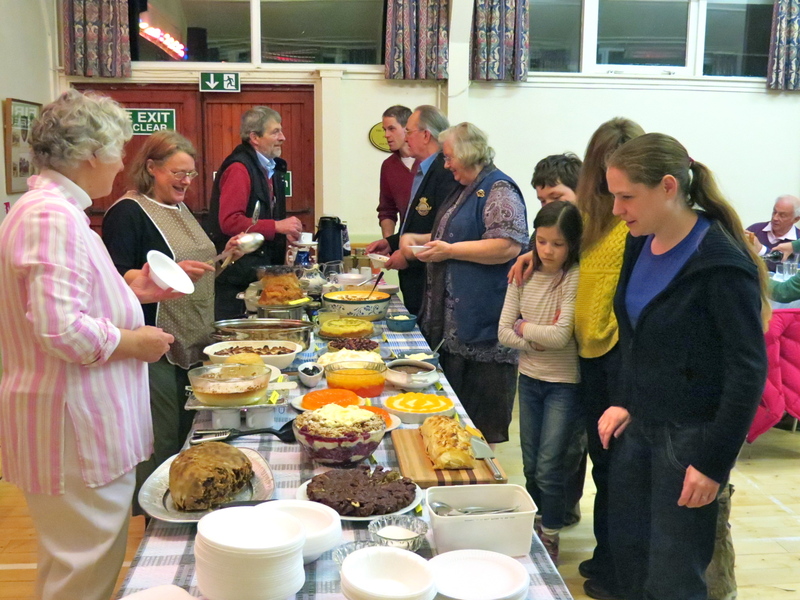 More than 40 hungry villagers, their friends and families, met to tackle the task of demolishing a delicious spread of 24 home made puddings. 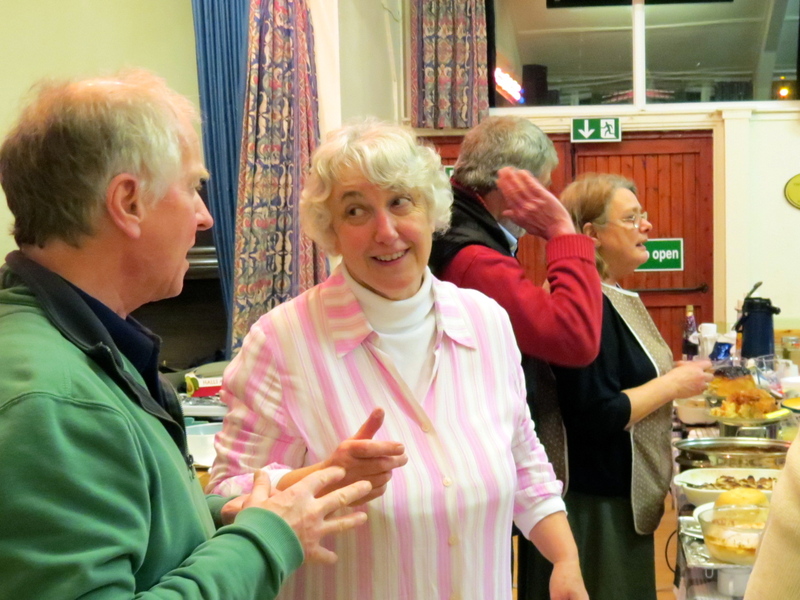 They succeeded – by 8.30pm there was very little left and Kate Conway was sufficiently inspired to send us this wonderful poetic summary of the evening! we filled up our own plates. Thanks go to Katy and Andrew, who provided the music and to Bea, Andrew’s daughter, who sang a song. 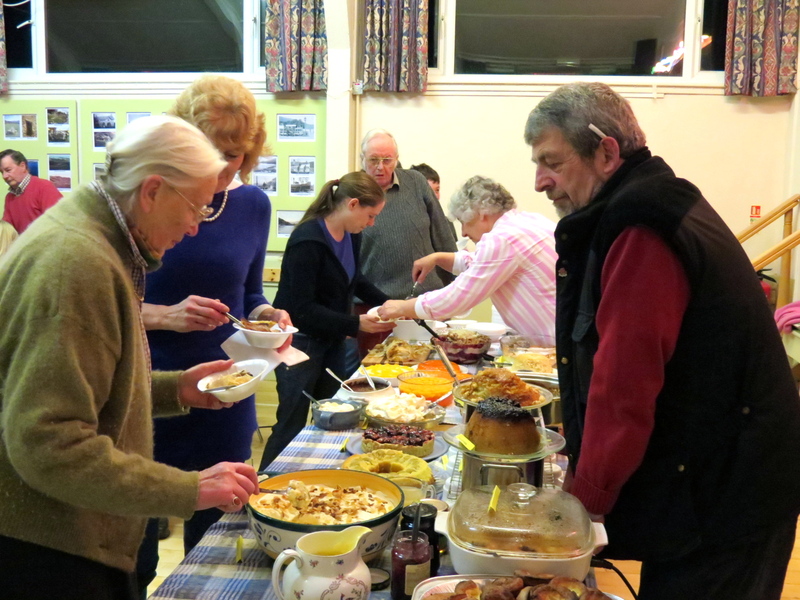 Thanks also to the pudding-makers – Sue, Julia, Sheila, Hazel, Tricia, Jane, Jeanette, Laurie, Councillor Mike Williamson, and Fiona. And special thanks to Kate Conway for her poem! Thanks again to everyone who made this such a good night. 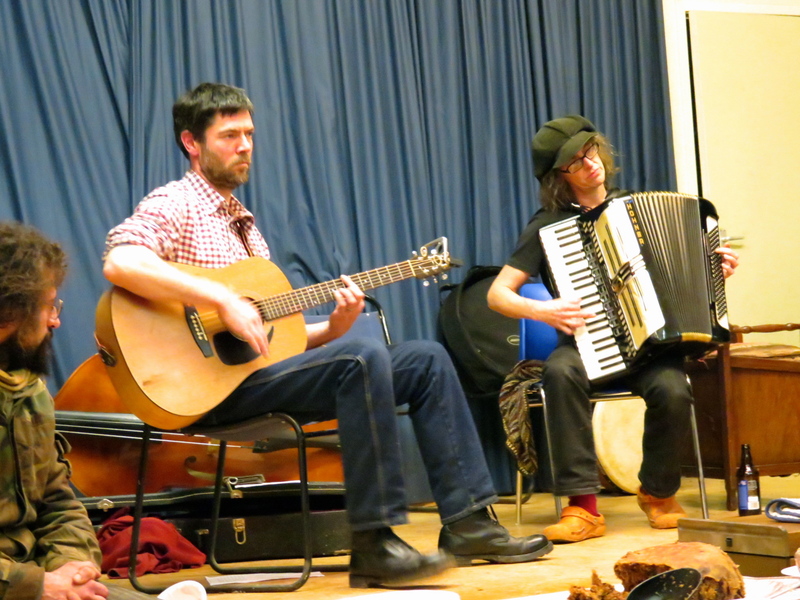 The musicians really enjoyed it too despite the blisters on Andy’s fingers!